so I will respond once SkillSystems is updated. so I want to fix it in the next skillsystems update. Added an option to set it automatically so as not to forget to add enemy’s palette. The effectiveness rework patch doesn’t work anymore. It claims it needs the Skill System, but when I patch a clean ROM with just Anti-Huffman and the latest Skill System, it still doesn’t work. I’m trying older Skill Systems rn, but I’d rather not have to downgrade my Skill System to use this patch. In FEBuilderGBA, “effectiveness rework” is always off. In 2018/10/20, I just accidentally turned it on. Therefore, I releasing a version that turned it off on 2018/10/28. I do not want to enable patches that will change the data structure significantly. 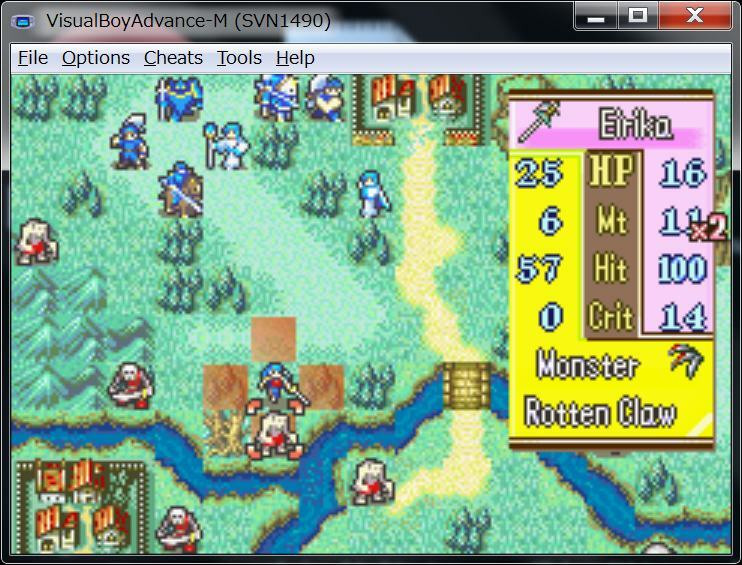 Also, the area used by “effectiveness rework” is used by FE8J as magic separation. I do not think that both versions have different data structures. Where did you send report7z? I do not think it has arrived. This is because the BL call at 0x0802BB34 is broken. It has become infinite recursion. You rewritten this place for some reason, and it caused infinite recursion. You only sent ups instead of report7z, so I don’t know when the hour was rewritten. Hmm. Well I didn’t intentionally change that value. I’ll send a report, if it’s not too late. Here’s the report7z. Hope it helps. Thanks for all of the time you spend fixing stuff like this! I will send an ups that fixes this problem. Presumably,you after adapting the grow_mod patch, adapting some conflicting patch, it seems that the grow_mod is destroyed and the pieces remain in the ROM. With report7z, I could use the diff debug tool, so I could easily get rid of the debris. Thank you! I’ll try to keep note of the patches that I adapt from now on. Please uninstall and reinstall “ModularMinimugBox: 2018 Default With Skill”. 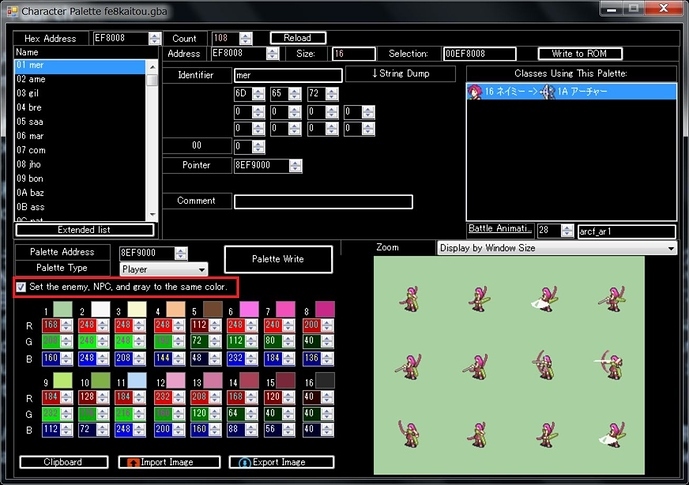 Update SkillSystems after updating FEBuilderGBA to the latest version. but old FEBuilderGBA is still not making its tracking routine. so it should be able to update without problems. I will send you a version of the ups that has been modified to work with “ModularMinimugBox: 2018 Default With Skill”. 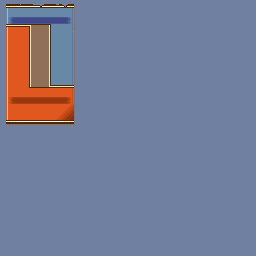 How do I edit the menus without completely destroying the pallet? I’m currently trying to switch all blue to red at the least and at the most change all the menus to look different the the generic sacred stones one but whenever I export and image and change it and try to import it the entire image is messed up even if I just change one pixel. What does “the menus” mean? I’m not sure its a bug or error I think I’m just doing something wrong. By menu’s I mean the stuff like Battle Preview or System Menu, etc. I wanna be able to make those look red and more simple. Same for the player turn pop up and stuff. I think changing the palette of the system menu will affect various places. However, I can not answer unless look at the status of your ROM. I’m pretty sure it is not an error or anything I would need to report. 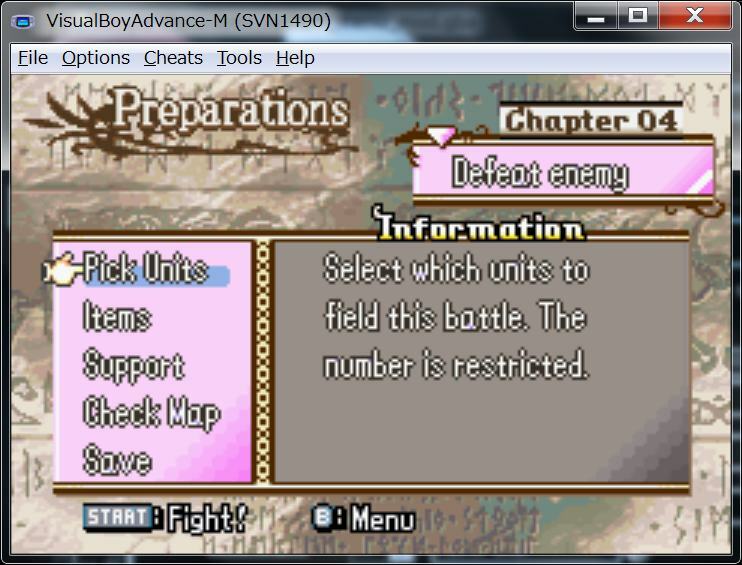 I all want to do is change the way the menus and stuff look like so everything is generic FE 8 looking. 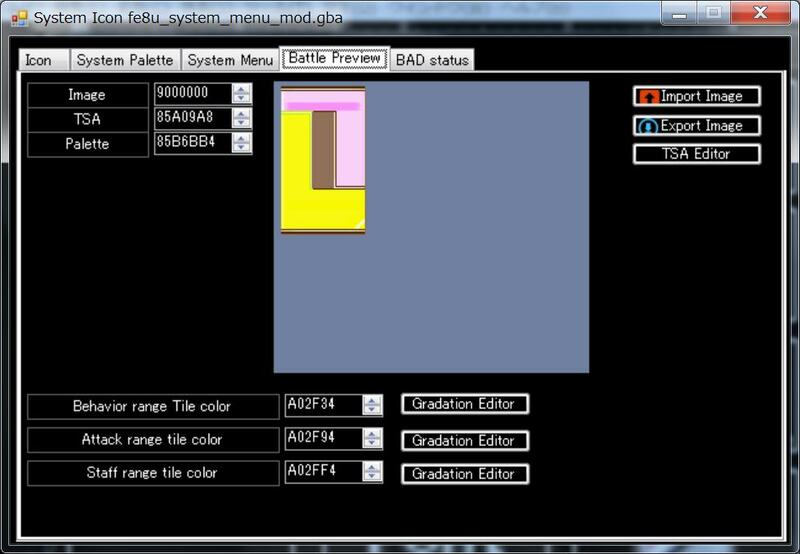 (The battle preview, System menus, etc) but whenever I export the image, change something and then import the image, everything looks weird and the rom is basically corrupted. I changed the picture of the menu a little and drew the “/” at the bottom right. Also, I changed the palette and made it pink and yellow. I think you probably broke the TSA structure. The TSA structure is so complex that I recommend not to change it. In the screen, the part A is the part that changes the data structure of TSA. Do not change this part. The TSA structure of Menu is so complex that changing it usually has disastrous consequences. There is no problem if you change the part B. You can change the appearance of the palette by changing it. 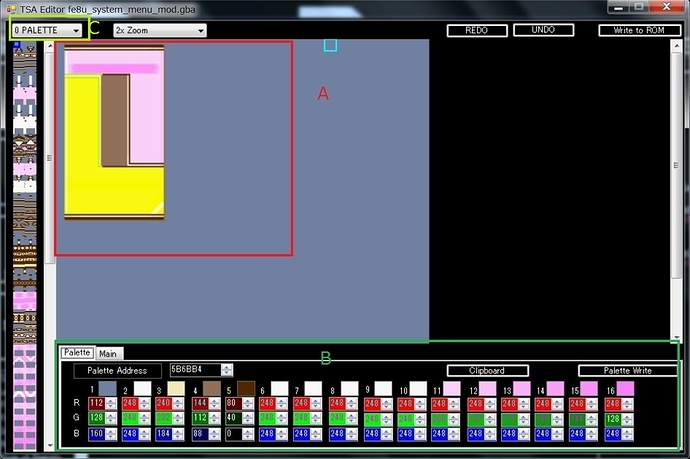 This menu has 4 palettes, which can be switched with the C combo box. By changing the Image, you can change the menu design itself. However, since it is divided and stored by TSA, changing is quite troublesome.